I have such a hard time believing that Baby J is already a year old! It honestly seems like just yesterday that I found out his sweet Mom, who is a good friend of mine was in labor on the day that I was going to do a maternity shoot with her. And I still remember holding him in my arms and soaking up all the newborn goodness when he was just a few days old and thinking this will be that last baby between our 2 families (apparently I was wrong about that). 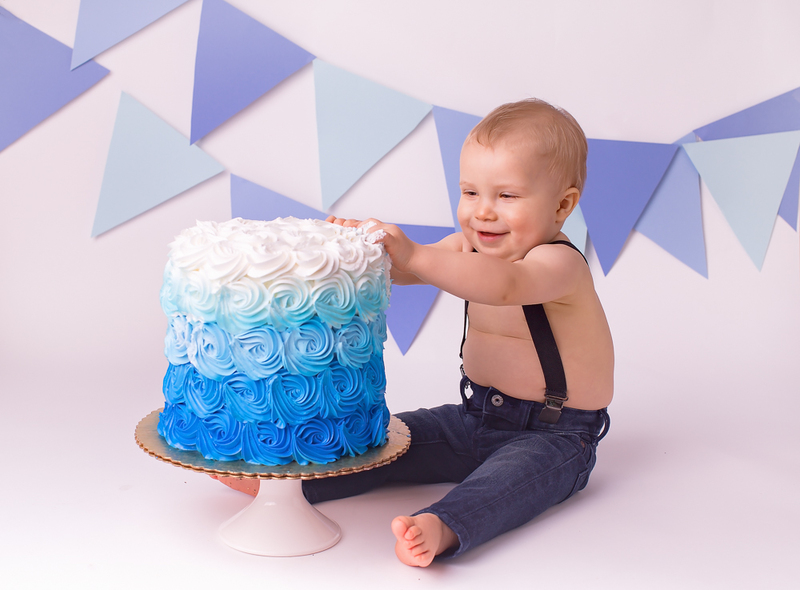 At his birthday party this year he absolutely loved his cake and looked so cute all covered in it and I just knew I had to get him into the studio for a cake smash session. Thankfully his Mom was on board and Baby J did not disappoint. We started out with some cute photos of him and his big sister and they knocked it out of the park! When it came time for the cake smash he loved his huge blue cake so much that he knocked it right off the stand and kept eating. By the end of his cake smash he was definitely ready for a bath. 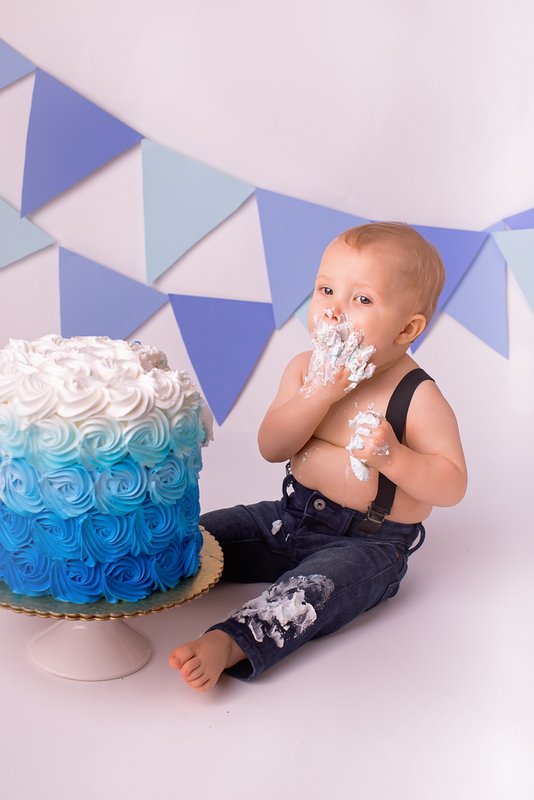 Before I get to the adorable photos from his cake smash session I have to share one photo from Baby J's 6 month session. He was just barely sitting up and loved to wave. The old cliché that "they grow up so fast" really is so true! And now some photos from the cake smash session.